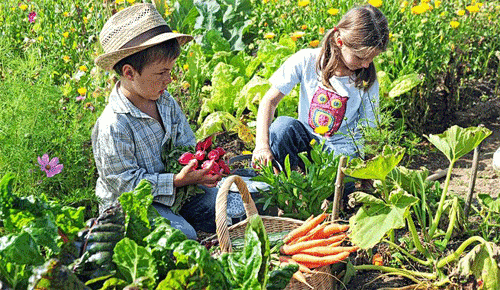 A garden is a great teaching time for children. 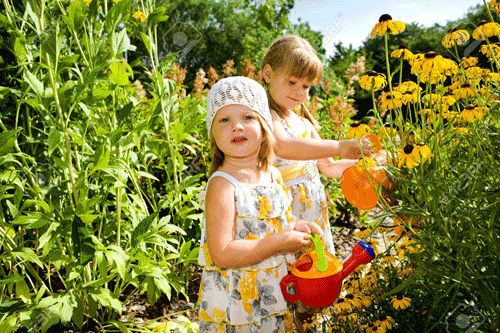 It brings science, math, nature, and art to life and it doesn't hurt that they get to play in the dirt. 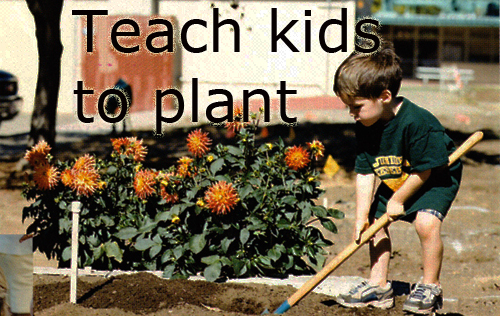 Children will learn what plants need to grow by working the soil in the planters you have or in the ground. 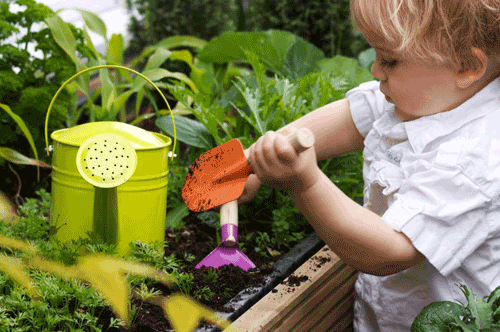 They can use their hands instead of tools so it's not only fun but safe and they will enjoy the reward of a job well done when they see their plants blossom & grow. The first step is to choose a site for the planters you will have them plant in. Look for a area that receives full sun, is convenient so they can go out there on their own and is protected. Don't think that you can just let them go on their own. Provide adult supervision at all times. Fill the bottom of the planters with soil for good drainage and then use potting soil, NOT SOIL FROM YOUR YARD. Mix in a good fertilizer and your ready to plant. Next is to figure out what you want to grow. Is is flowers, veggies, a butterfly garden or sweet smelling blossoms that they can cut and bring indoors to enjoy. This will help you decide on what kind of pottery to use, how large it must be and how many you will need. You don't have to use huge garden planters. Even small terracotta pots can hold a good bunch of fresh herbs. Let the child help in picking out the pots. They really enjoy this step and it makes them feel important. Look in gardening books, check out seed packets at the local nursery and browse magazines to give them ideas. Steer them in the direction you want them to go and they will think they thought it up all on their own. You can always search the web for good tips. Have a plan before you begin, then gather all your supplies. Let the children get involved. DON'T do it for them. Guide them gently and everyone will have a great time. Use this together time to teach them something and never assume they know what your talking about. Incorporate small toys and figurines that they love. It gives it a final touch and the child loves seeing their toys under a blooming tomato plant. Finally use your imagination. This is a time of learning, sharing and creating memories. 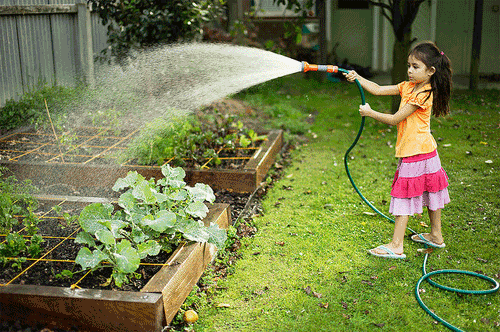 Read more.....How thirsty are your plants? Really cute ideas that make me stop and think for a minute. The kids are grown but it's more fun with the grandkids anyway!! !